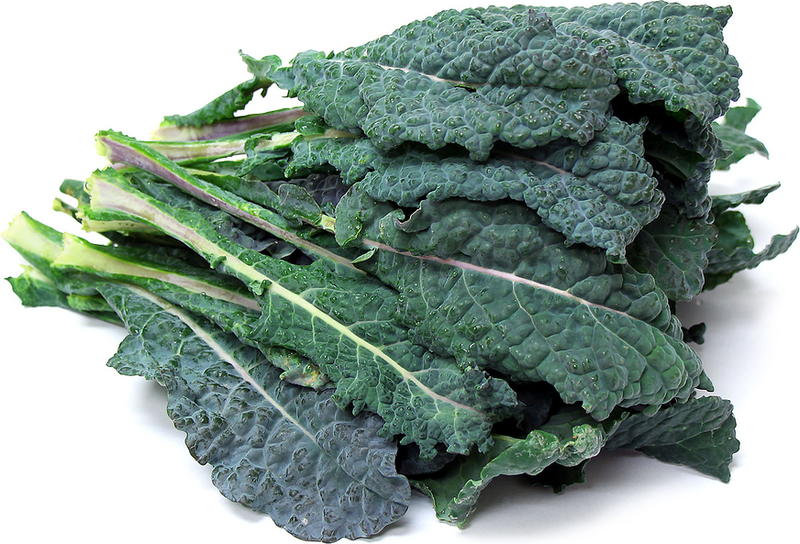 Dino Kale is a classic Italian variety. Its leaves are super-savoyed, long and narrow with a striking blue-grey color. It is one of the most robust and vigorous growers in the kale family. Dino Kale is available for the most part year-round. Kale is a variety of Brassica oleracea, known as acephala, meaning “without a head.” It is a non-heading, leafy wild cabbage that comes in a range of varying colors, shapes and sizes. Cultivars can be differentiated according to their low, intermediate, or high length of the stem, as well as their flat or frilly leaf structure. Dino Kale is known for its winter-hardy resilience, and after a frost, it becomes even more sweet and tender.